Tracing its roots back to the 12th century, Samoëns village has always been famous for its beauty and historic feel. The French proudly describe it as one of their monuments historiques. Samoens is part of the Grand Massif ski area and is one of the most easily accessible destinations in the French Alps. The closest airport is Geneva and with a transfer time of 45 minutes to 1 hour, you’ll be on the slopes in no time! If you would prefer to reduce your carbon footprint, you can take the Eurostar which can get you to Geneva too. Alternative airports are Chambery, Grenoble or Lyon, which all take less than 3 hours! 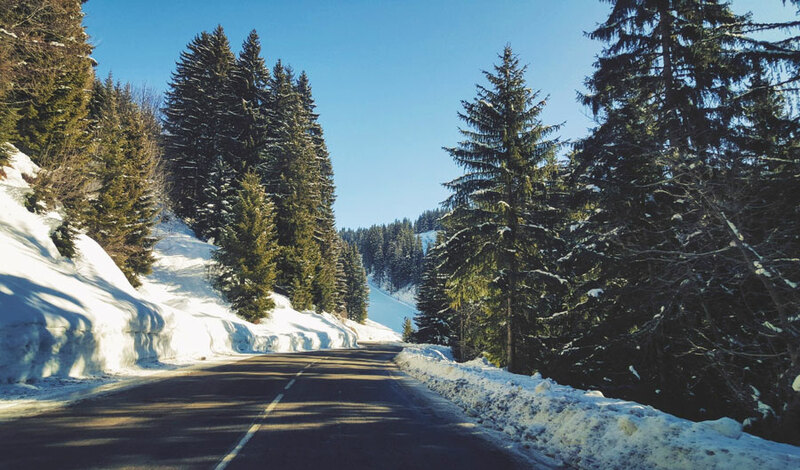 If you fancy taking a road trip to your ski holiday, you’re in luck. For those driving down from the Channel, Samoëns is about nine hours from Calais and it is motorway all the way apart from the last 12 miles. Samoens is just 10 minutes from the nearest motorway, the A40. There are some challenging roads out there which can make your transfer journey a little more difficult… and terrifying! So, if you don’t want your stomach to churn the whole way to your resort, Samoëns is the perfect ski resort. Modest altitude with no tortuous hairpin mountain climbs makes Samoëns one of the more accessible places for anyone planning to ski in the already highly-convenient Grand Massif. Samoens village itself is situated at 700m and the skiing begins at 1600m, where a sun-filled, snow-sure beginner plateau awaits lucky skiers. More advanced skiers will want to venture beyond Samoens, out into the Grand Massif ski area, which is the 4th largest linked ski area of France. You’ll enjoy cruising the slopes of 5 interlinked resorts – Samoens, Morillon, Les Carroz and Flaine. The ski area’s highest point at 2550m, Flaine’s Grande Platières, offers spectacular, close-up views over the entire Mont Blanc range. To access the impressive Grand Massif Ski area you’ll set off in the Grand Massif Express gondola at the edge of Samoens village. In just 8 minutes, you’ll be right in the heart of it! So now you know how easy it is to get to beautiful and authentic Samoëns, why not book your ski holiday? Don’t waste a minute! 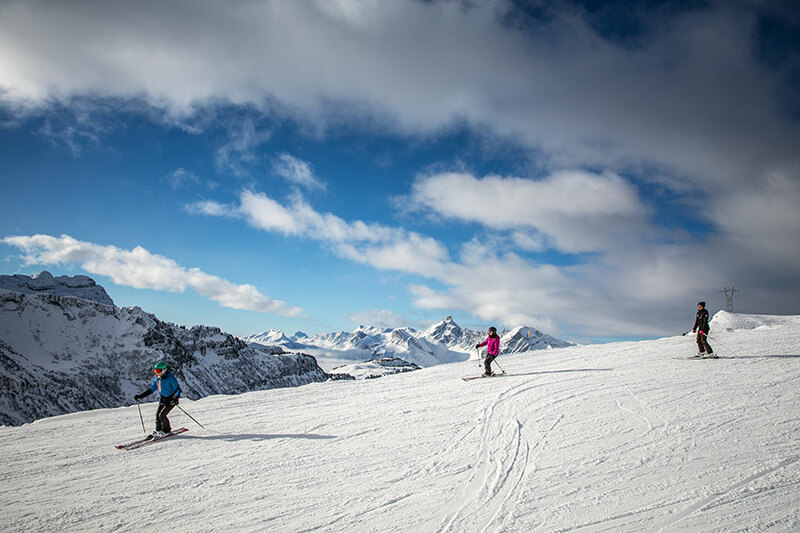 Once you’re here, the best way to get to know the area quickly and efficiently is with one of ZigZag Ski School‘s French-certified, English speaking Ski Instructors or Mountain Guides. We’ll help you find your soon-to-be favourite pistes, restaurants and secret powder stashes in no time! Contact us now to check availability. Alps2Alps offer a reliable, professional transfer service to all major destinations in the Alps. Find your low-cost ski transfer here!